Currently led by conductor Ace Edewards, Scruffy City Orchestra is Knoxville’s “other orchestra”, a community orchestra composed of volunteer musicians from around the area. 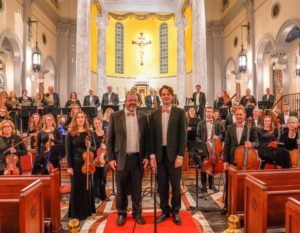 Founded in 2015, the Orchestra meets for two sessions each year and performs concerts at the end of each session as well as other specialty concerts and musical competitions throughout the year. If you are interested in becoming a member of Scruffy City Orchestra or would like to contact us for any reason, please send a detailed email with your request by clicking the link below. Email Scruffy City Orchestra for more information.